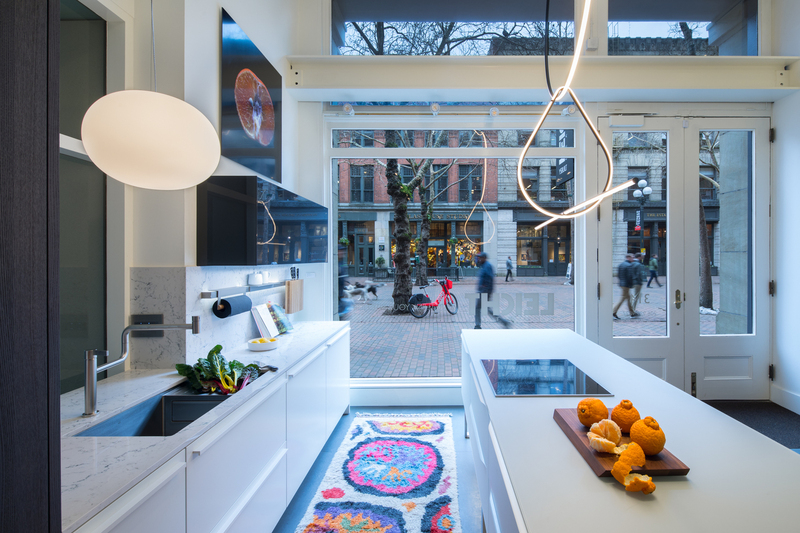 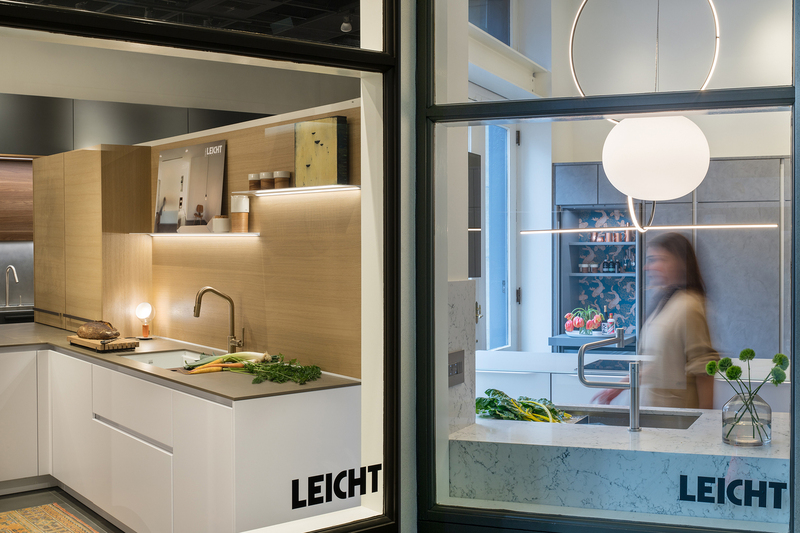 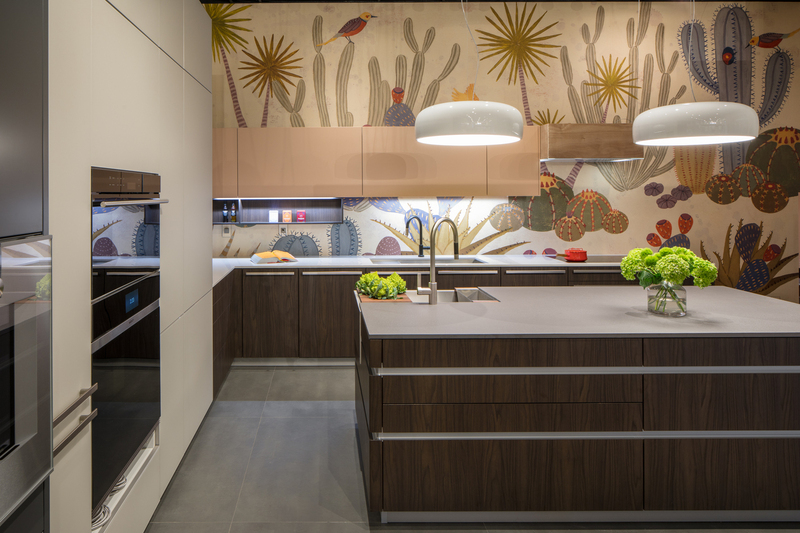 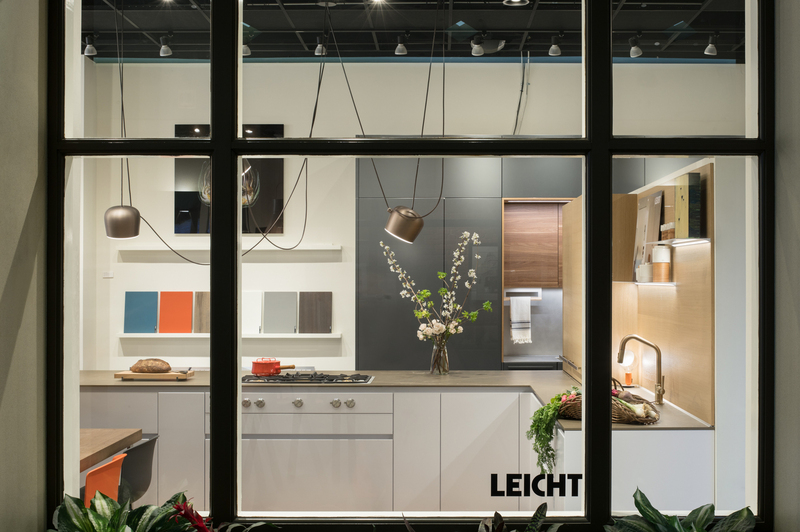 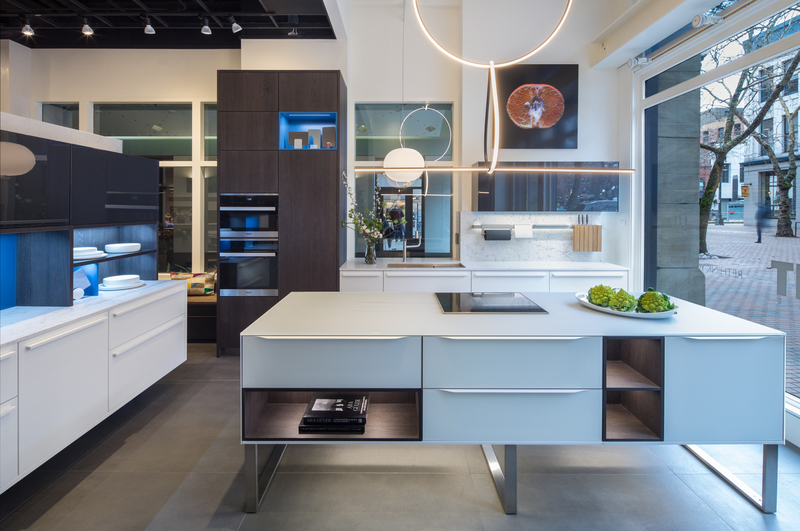 Lara was commissined by YB Built and German kitchen manufacturer LEICHT to create brand imagery for ther exquisite new showroom on historic Occidental Square in Seattle's oldest downtown neighborhood. 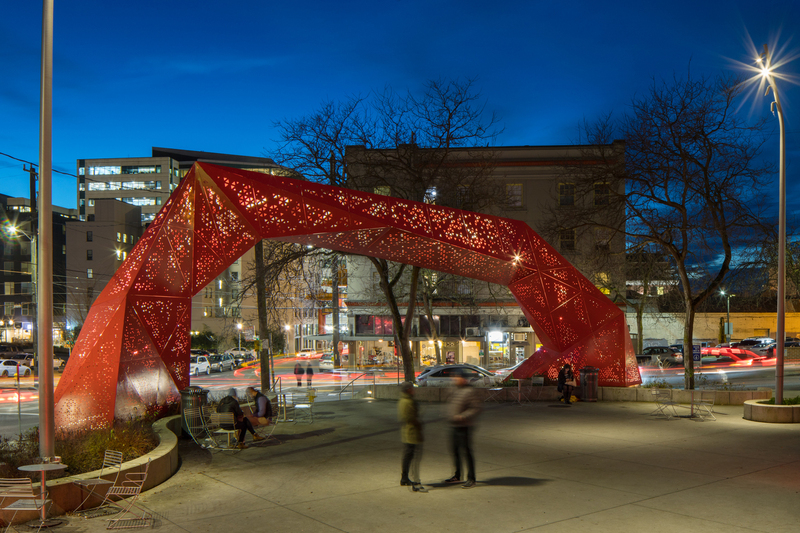 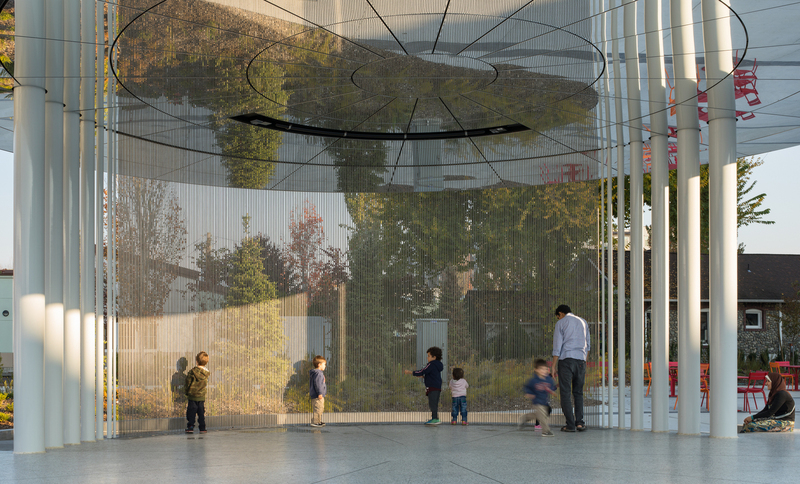 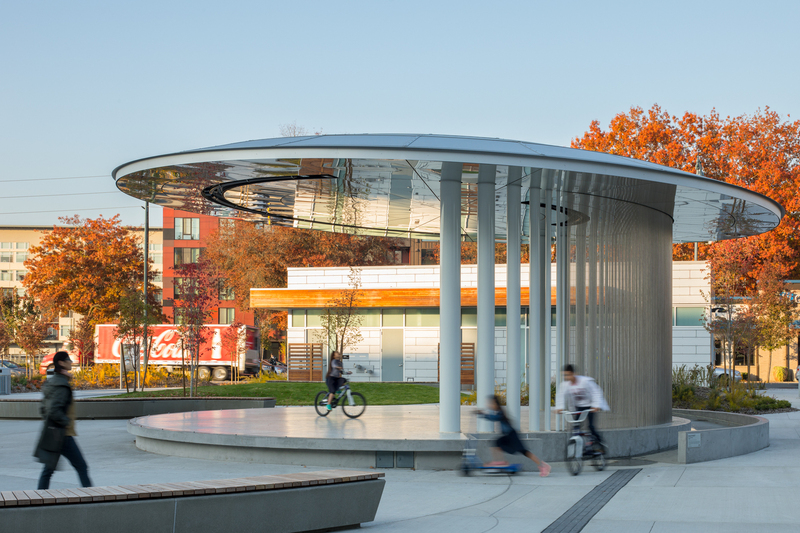 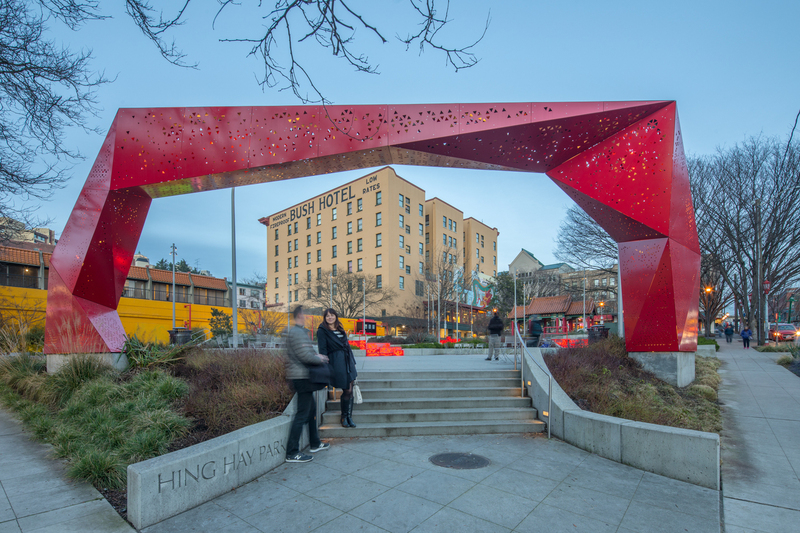 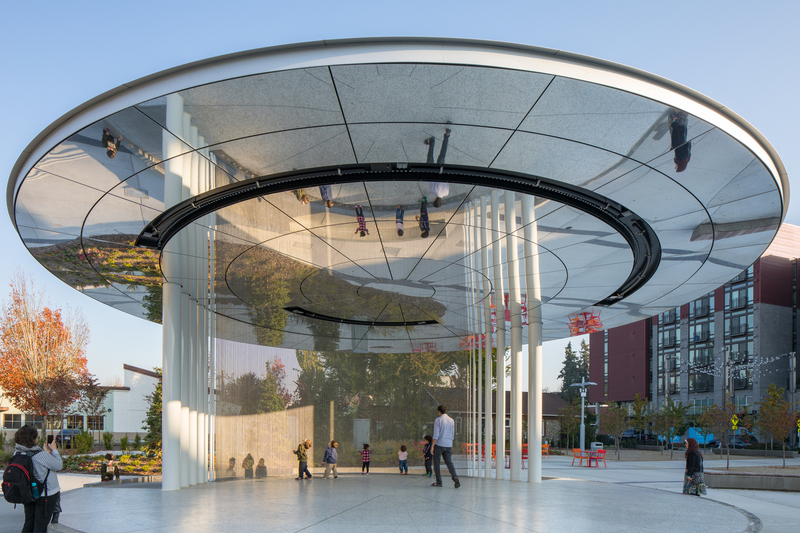 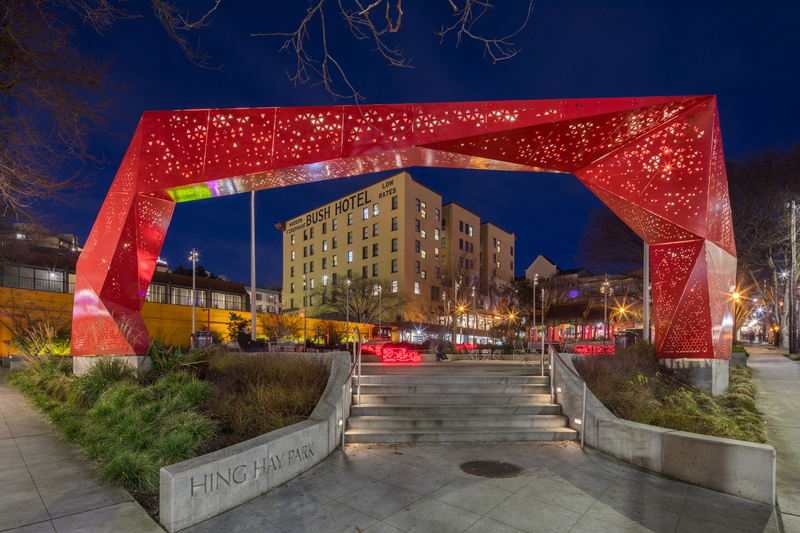 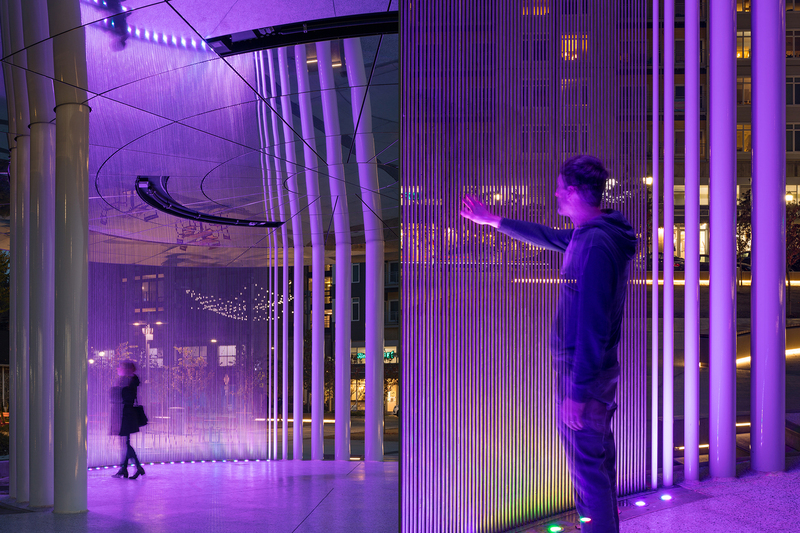 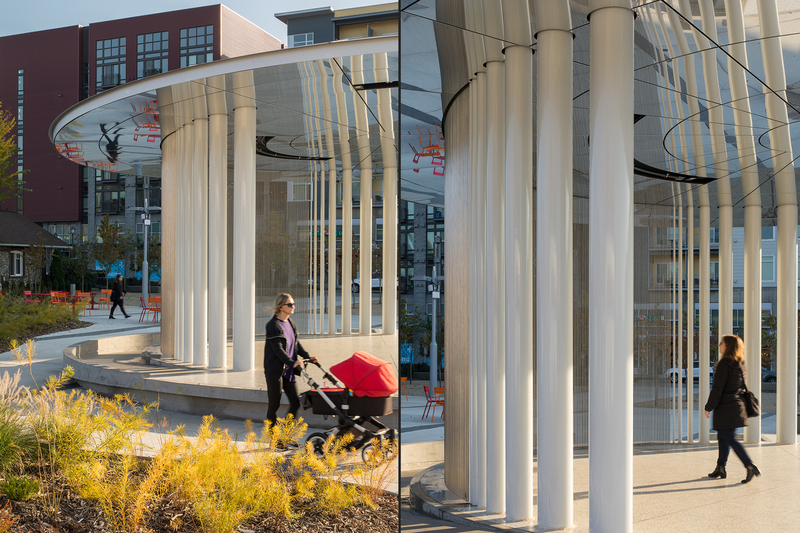 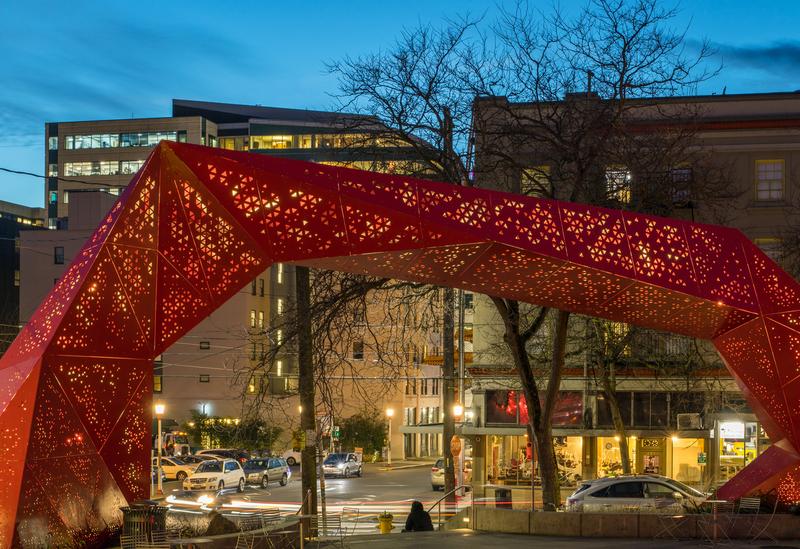 Dark Light's lighting design schematic for the gorgeous red archway and steps as well as path lighting in Hing Hay Park in the historic International District in Seattle was more like capturing an art installation than a landscape design project. 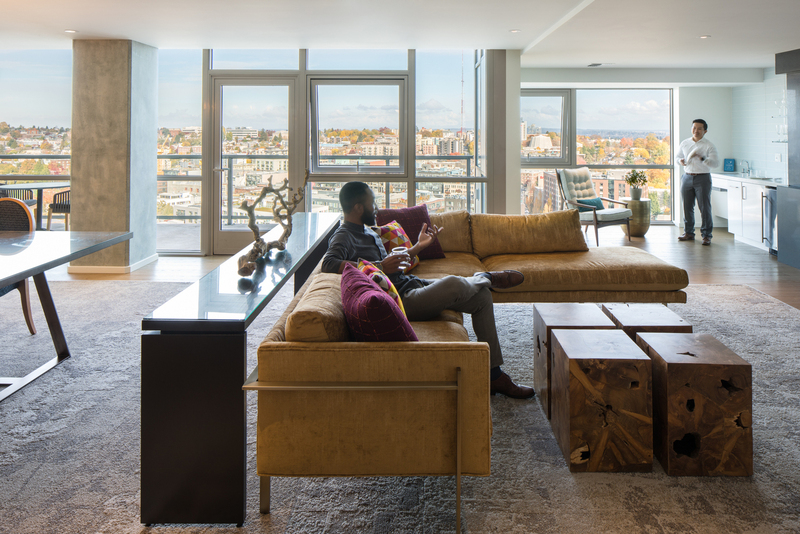 Seemless intergration with the neighborhood. 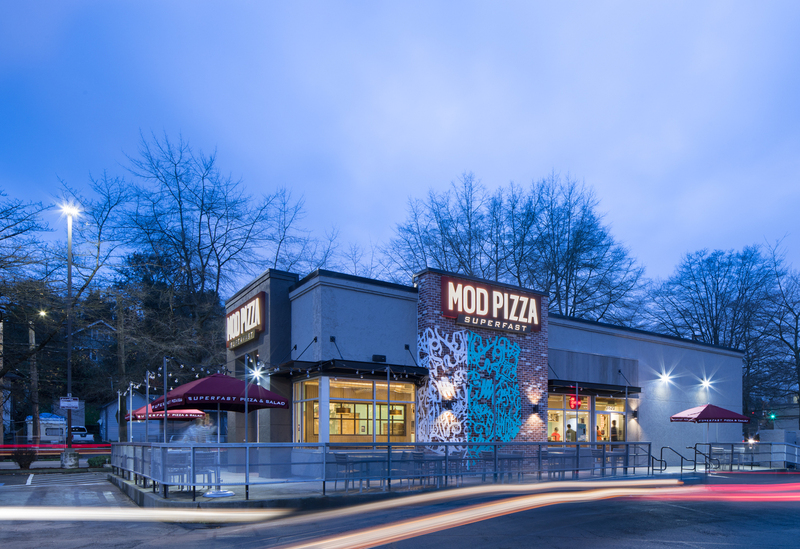 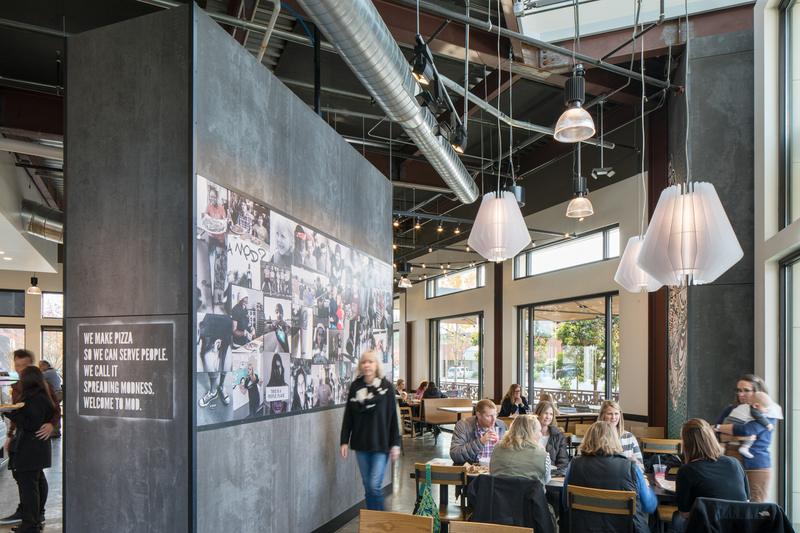 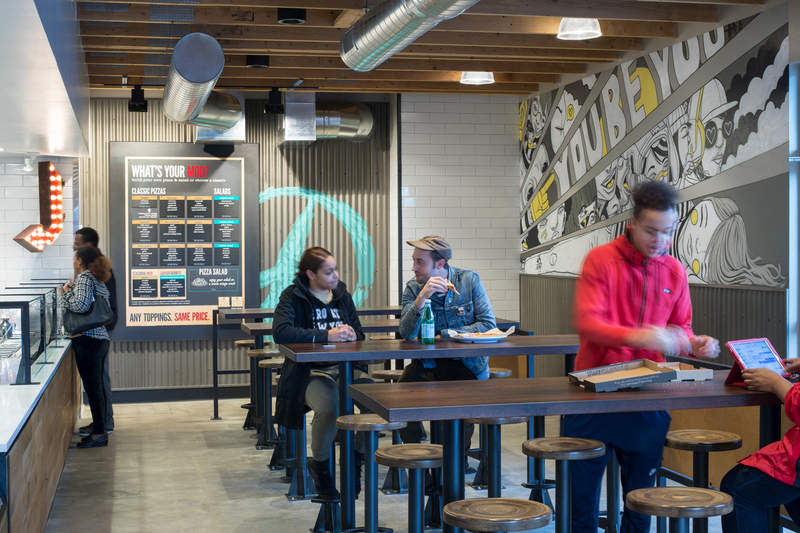 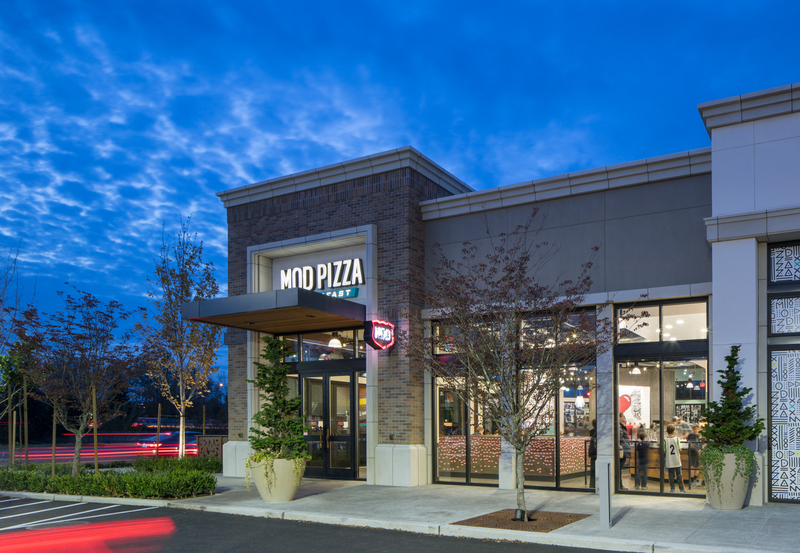 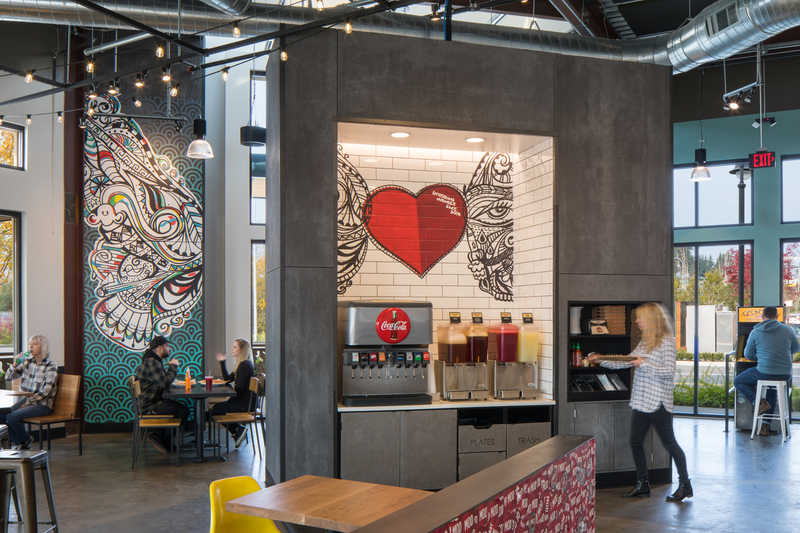 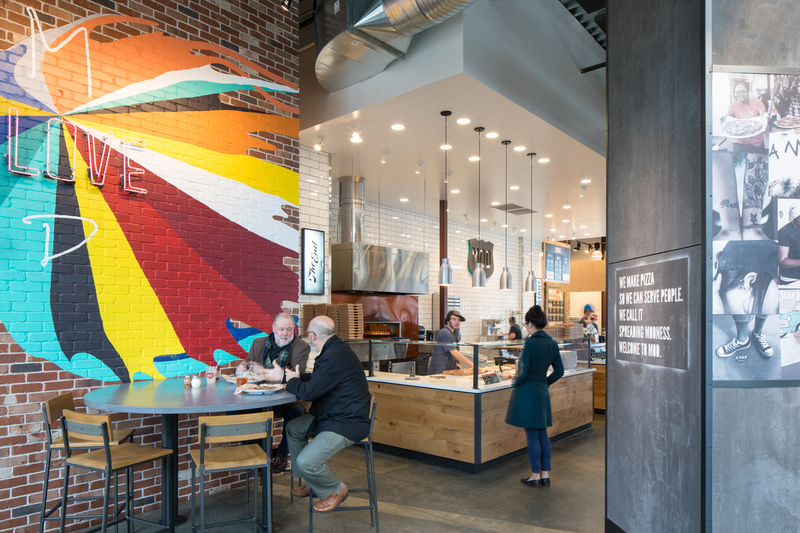 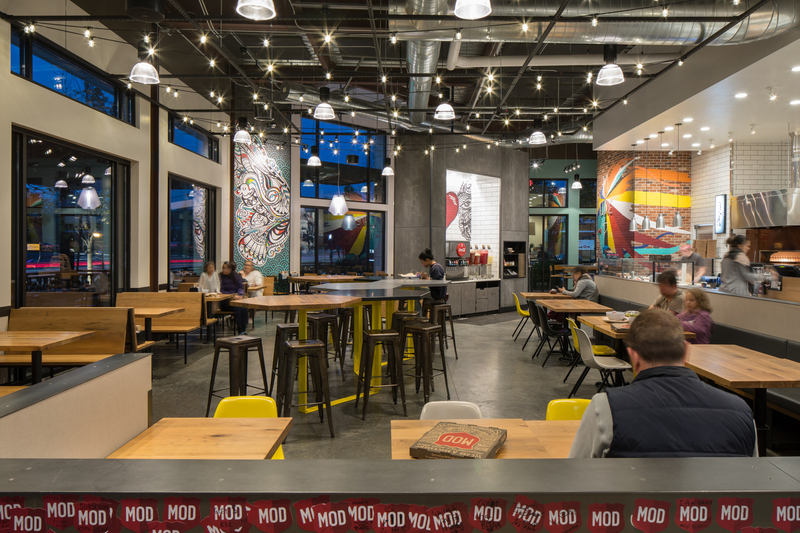 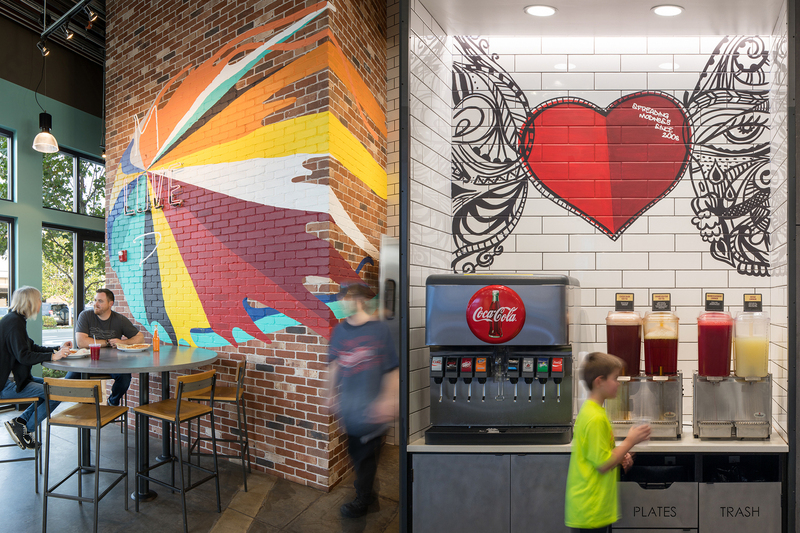 Lara was commissioned to create a series of new store branding images for MOD Pizza in the Northwest, focusing on the unique artwork and layout of each location. 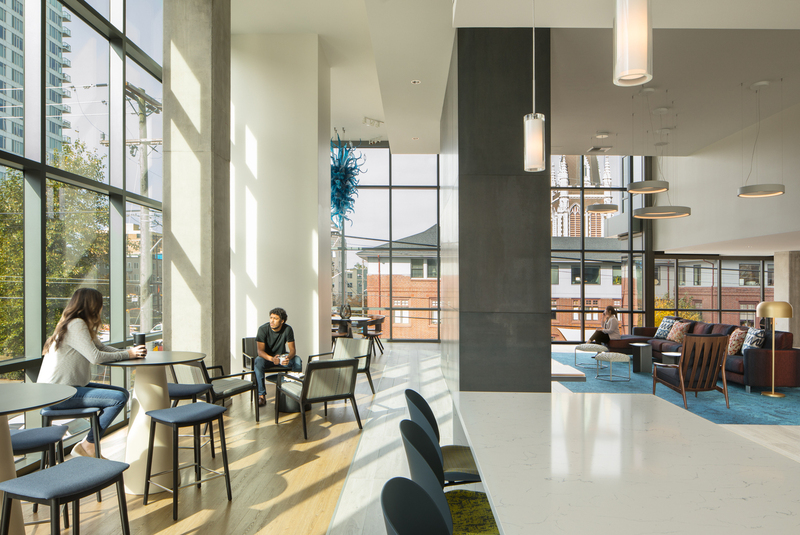 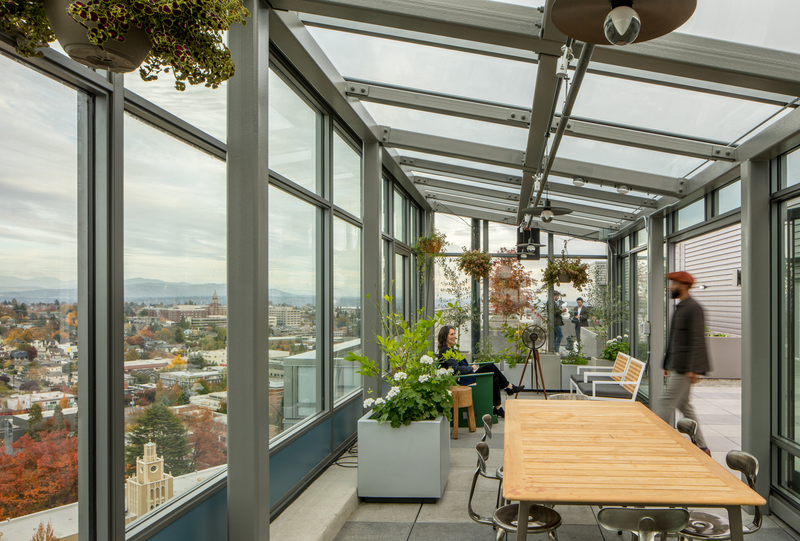 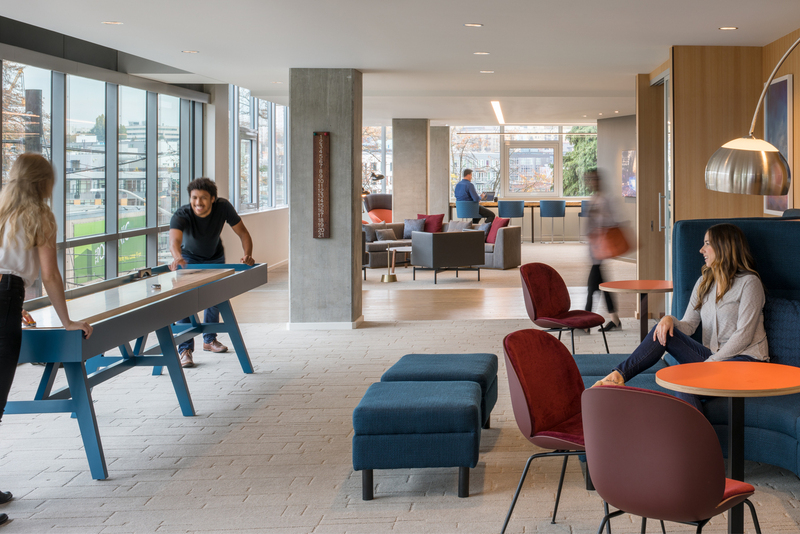 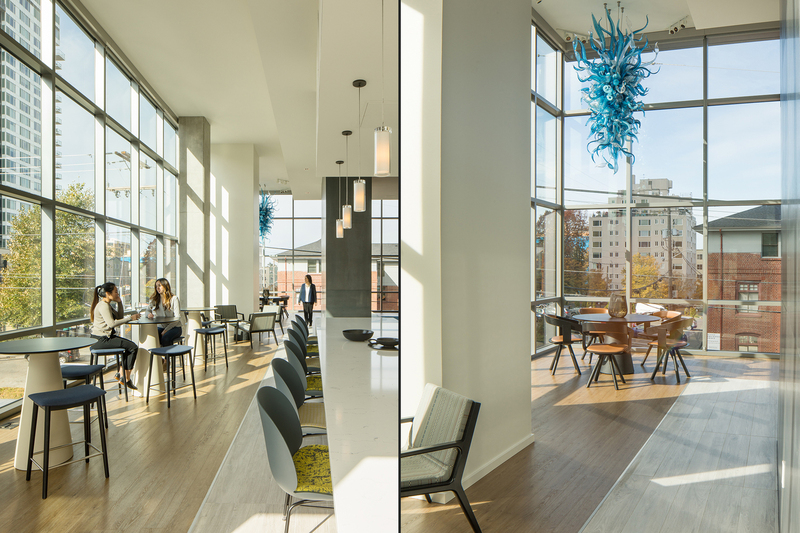 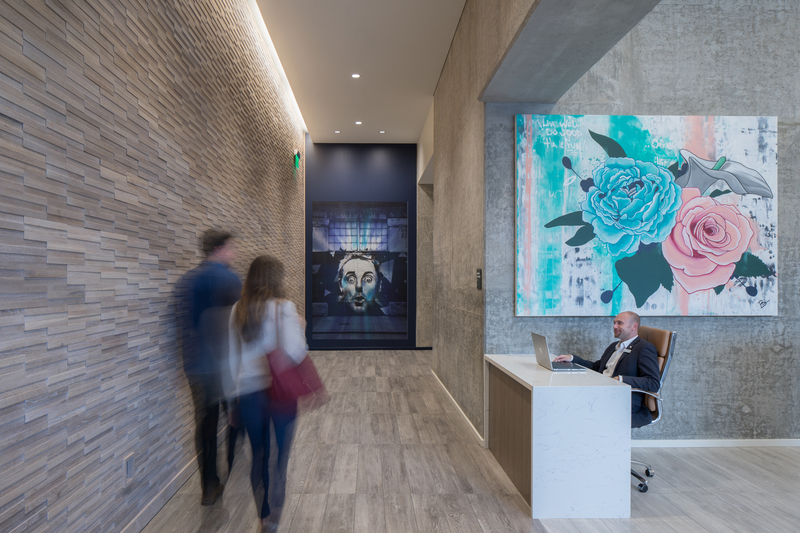 Fun shooting the sleek interior spaces of Capitol Hill's preeminent new living spaces at the Danforth, for GGLO Architects, late fall. 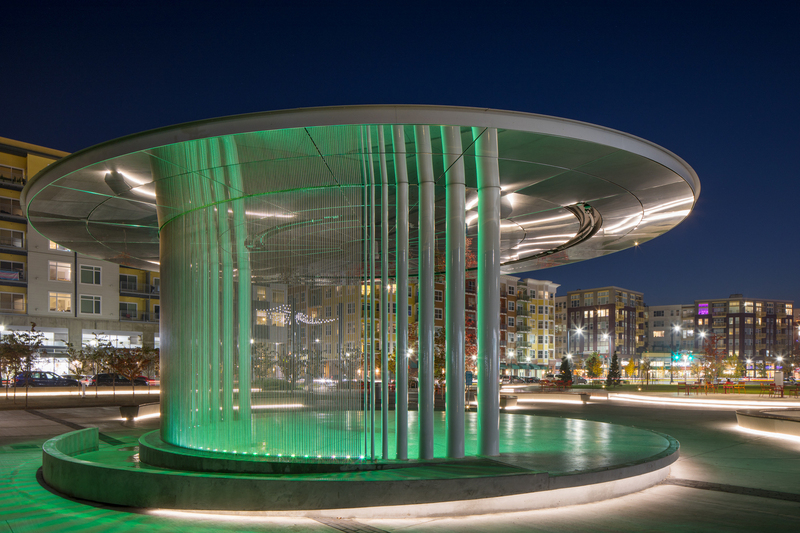 Another collaboration with Canadian public artist, Jill Anholt, on her gazebo-esque pavilion with water and lighting installation in the heart of Redmond City Park on the east side of the Lake, was a beautiful night with some video work too!